Parineeti Chopra got under the scanner for her drastic weight loss, with some praising her dedication and some criticising her for sending out a negative message on body image. But the actress says she doesn't always pay attention to what people are talking about to avoid getting caught in a "vicious circle". She feels no pressure to look a "certain way". "You can't always pay attention to what people are talking about you. If you do, you will get into a vicious circle. You have to feel good, you have to feel fit. Fitness is extremely subjective and that's the fun of it," Parineeti told IANS in an email interview. "You have to do things that work for you, that makes you feel good about yourself. I have no pressure to look a certain way. I only want to stay fit and live a healthy, happy, complete life," added the actress, who has been roped in the fitness ambassador for swimwear brand Speedo India. How has the meaning of fitness changed for you? "Fitness is all about challenging yourself -- every single day, every single training session. If it doesn't give you the rush, the thrill, you will get bored. I look for something new, something to push my physical boundaries every single day." Parineeti, the cousin of globally popular actress Priyanka Chopra, asserted that fitness is not only about changing the way you look. "It is also changing your perspective towards health and harmony. When you start feeling great about yourself, you start appreciating everything. Mind and body is connected for us and we need to harness that energy. Good physical health always means good mental health." Her association with Speedo came into existence because she resonated with their fitness mantra. "I am a water baby and when Speedo India approached me to be their fitness ambassador I was excited. Its recent campaign has been around fitness. Fitness and I go a long way. I'm always looking at exploring new and interesting forms of exercises that challenges me. Since Speedo and my association involves working out in the pool, it just made it exciting for me." When it comes to her career in Bollywood, it has been a case of hit and miss. Parineeti made her debut with "Ladies vs Ricky Bahl", but got noticed with "Ishaqzaade". 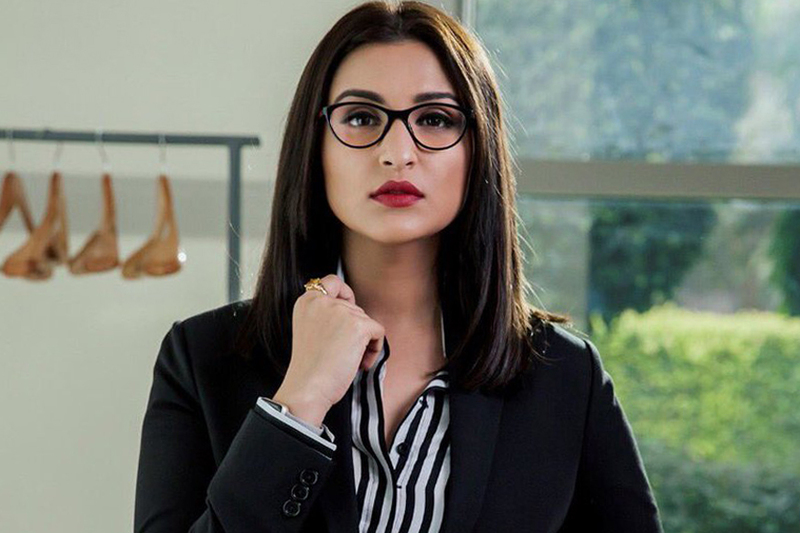 She got a good response for ""Hasee Toh Phasee" and "Golmaal Again", and faced failures with films like "Kill Dil", "Daawat-e-Ishq" and "Shuddh Desi Romance". After the hit "Golmaal Again", she has a lot to look forward to. "My next film is an amazing exciting project titled 'Sandeep Aur Pinky Faraar', which will be releasing on August 3. The edge of the seat thriller is directed by Dibakar Banerjee and I am extremely happy to have been directed by him. "Post this, 'Namaste England' releases this Dussehra which will be my second release this year with Arjun Kapoor. It is directed by Vipul Shah and it is a full on entertainer. We are yet to finish shooting for the film. Lastly, I have also been shooting for 'Kesari' where I get to work with Akshay sir (Akshay Kumar). It is an absolute pleasure working with him as there is so much to learn from him." The actress says she has had an "amazing journey over the last seven and a half years" in the industry, where she has also showed her skills as a singer. "I have always experimented with my roles and tried to choose roles that are different from each other. The most wonderful thing being an actor is to get to explore the life of different characters in each and every film. "My experimentation won't stop. I will keep on pushing myself and try to always entertain audiences," she signed off.